Whether you are a stay-at-home or working mom, an airplane-hopping executive, an empty-nester caring for multiple generations, or a single woman juggling the high demands of career and personal life, today’s fast-paced modern world leaves us gasping for balance. As Christian women, we want to look to God for direction on how to manage our lives — but how? Thankfully, God has given us timeless, unchanging guidance in the Bible for how to find peace, clarity, and His best for our lives. 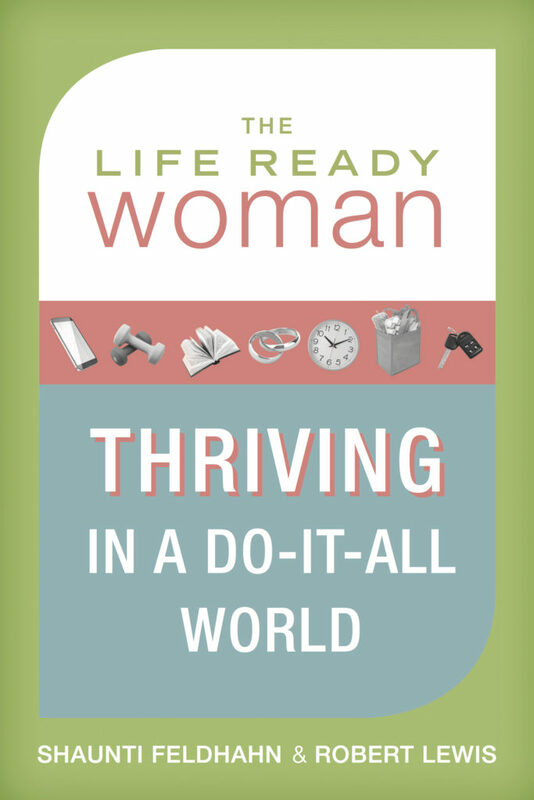 The Life Ready Woman: Thriving in a Do-It-All World, reveals a profound biblical roadmap on how to find the abundant life we are longing for instead of the stressful, ‘how-do-I-balance-it-all?’ life we are often living. Being a LifeReady Woman means that you are clear about your life, bold in your faith, and able to find God’s best for you. And the result? You not only survive but thrive in this do-it-all world. Check out Find Balance ! the companion Bible Study to The Life Ready Woman. Perfect for you, a couple of friends, or your small group! Wow! The “Choice of Childlessness” segment in the “I Am Woman” chapter was deeply moving. I immediately recommended the study to our director of Women’s Ministries. Thanks, Shaunti. Keep up the good work! Your Life Ready Woman project resonates so powerfully with me – in fact, it’s like you could have been inside my brain! …your message is a perfect “baseline” that every woman should have to build her life upon. We will use the Life Ready Woman as a campaign, of sorts, hoping to strategically branch out and draw in a wide variety of women for connection, inspiration & growth. View more books written by the author "Robert Lewis". View more books written by the author "Shaunti Feldhahn".